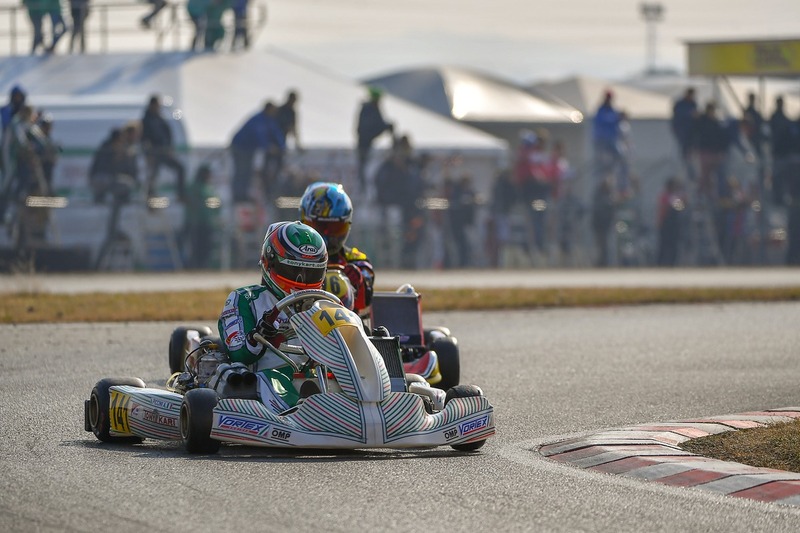 Our racing team shine in Lonato for Winter Cup with drivers fighting for victories in all categories. 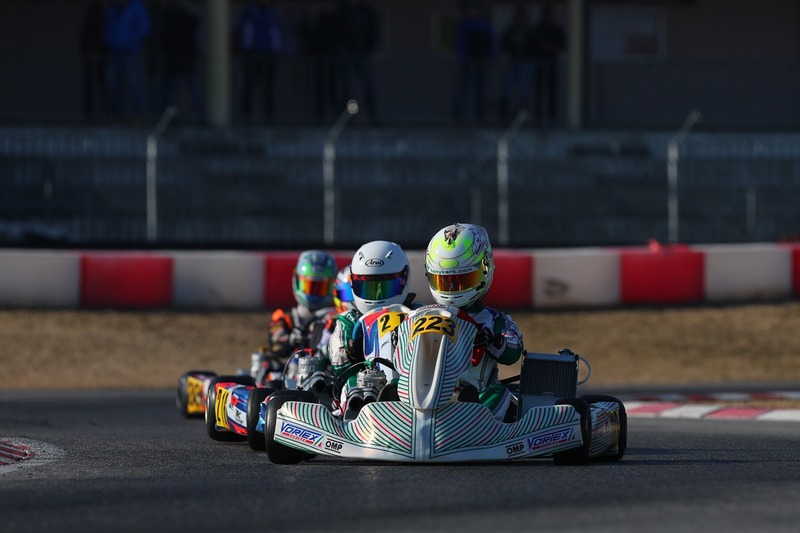 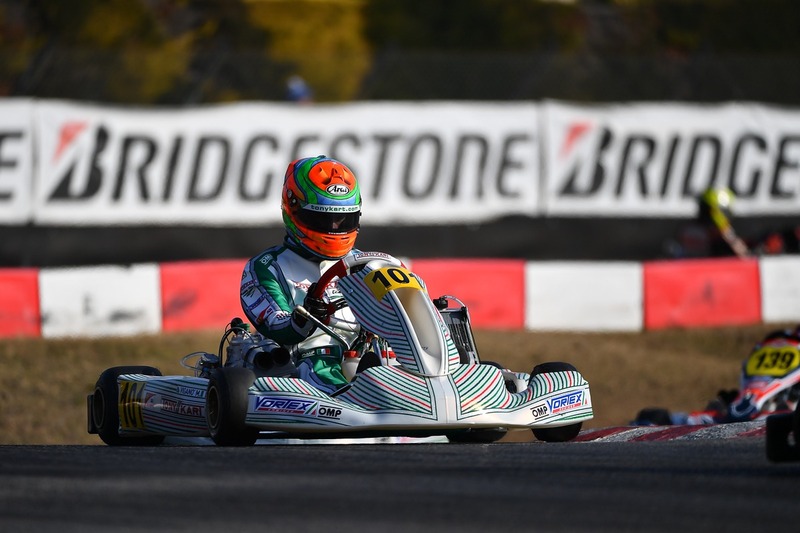 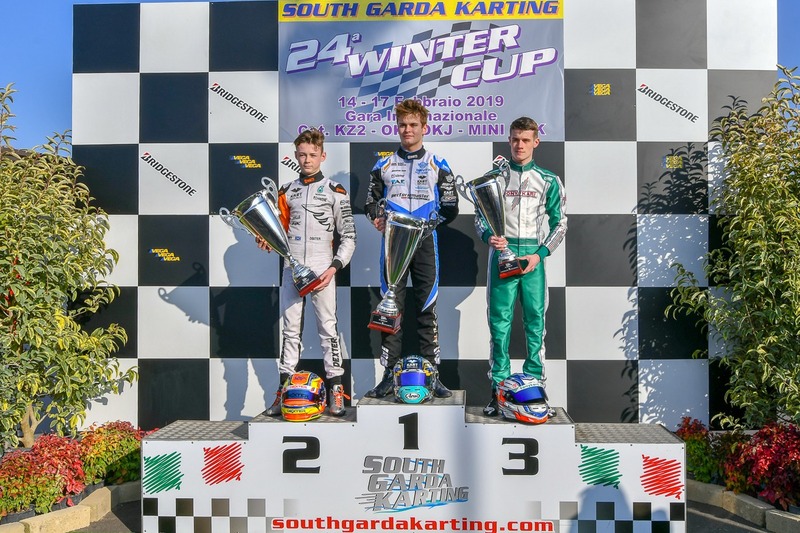 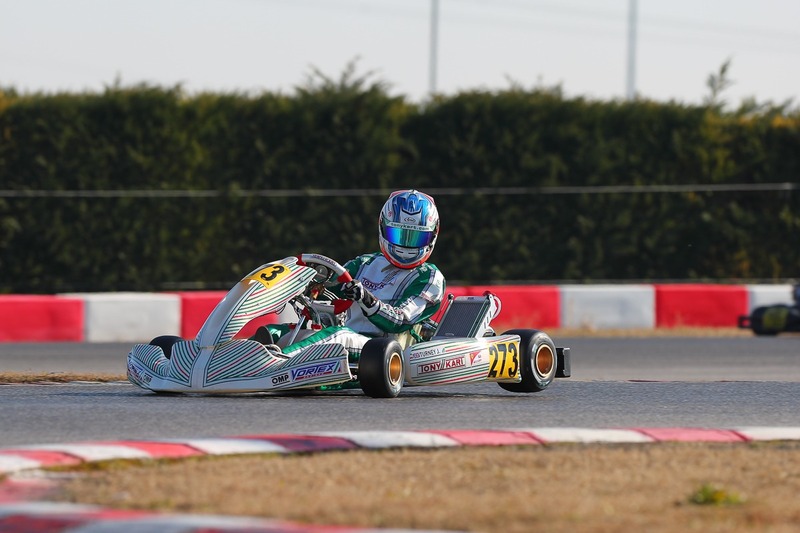 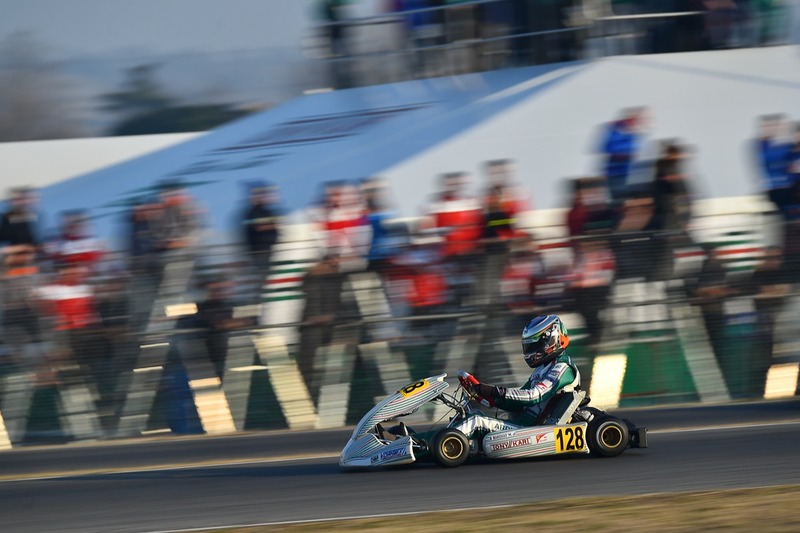 The 24th edition of Winter Cup took place in the classic circuit of South Garda Karting where our Racing Team took podiums in KZ2 and OK classes, with Marco Ardigò and Joe Turney both finishing in third place in their finals. 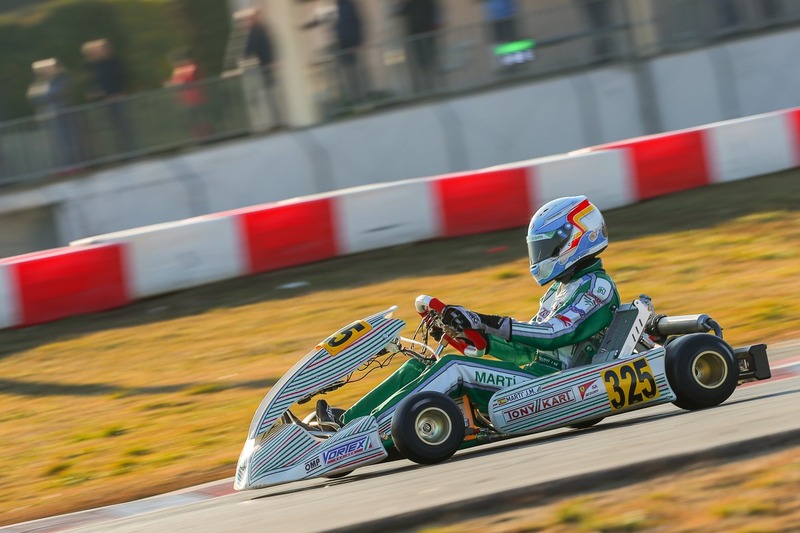 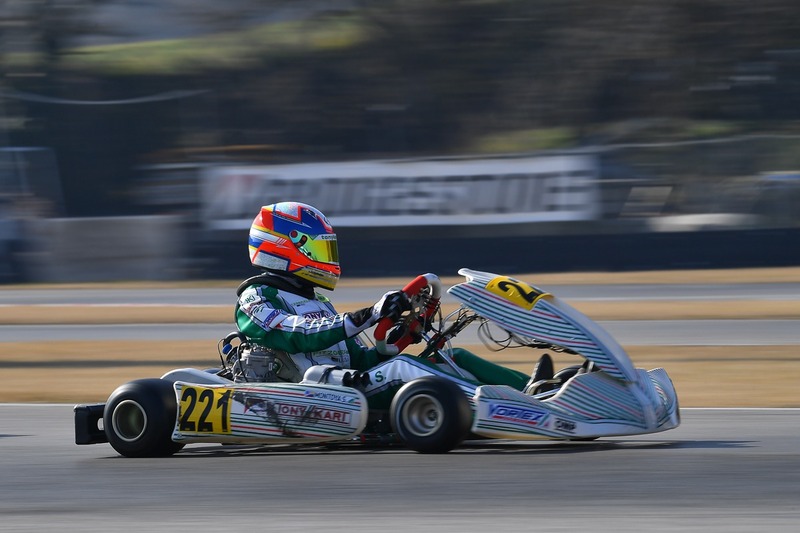 These results show once again the reliability and performance of the Tony Kart Chassis Racer 401 R equipped with Vortex Engines. 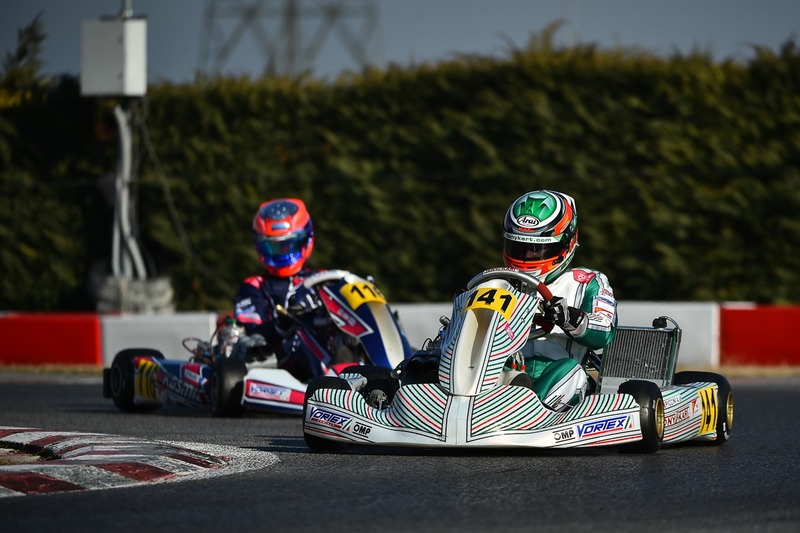 Our KZ drivers had their first race of 2019. 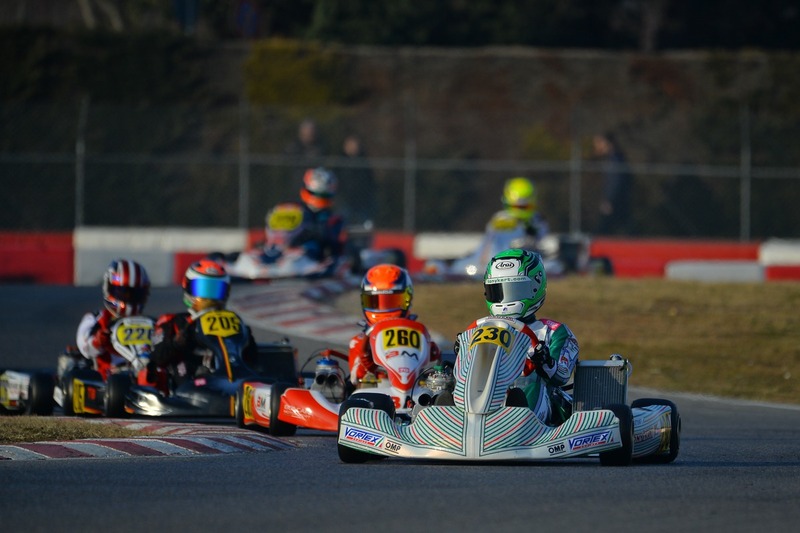 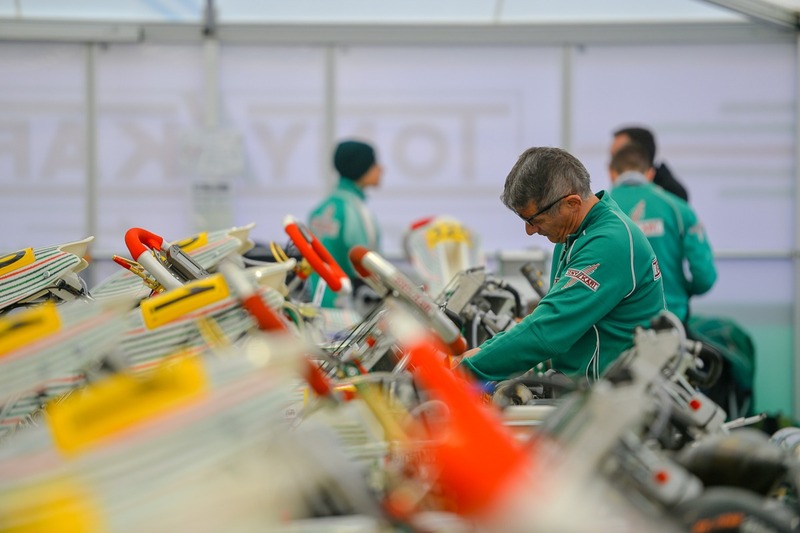 The Winter Cup is always a very demanding race for the shifter class with almost 100 participants in this category. 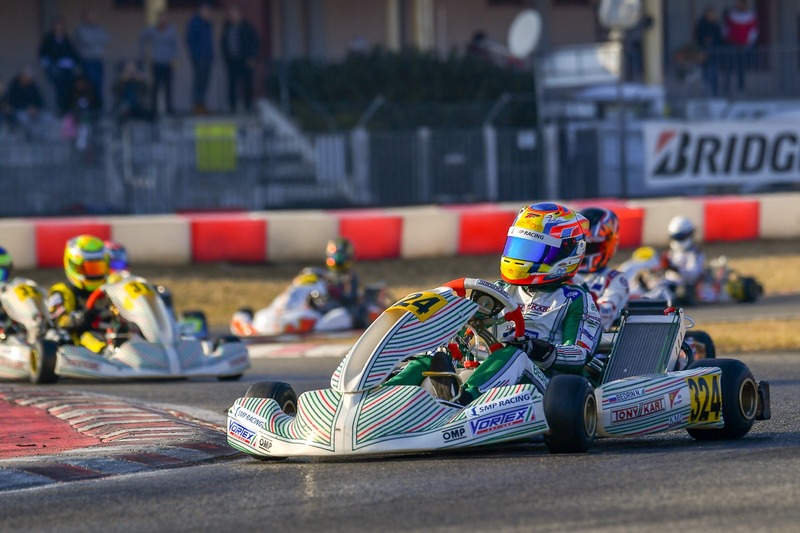 Matteo Viganò was the best in qualifying practice for our Racing Team, the Italian finished 7th overall, Ardigò was 11th while Puhakka and Piccini finished 28th and 29th, respectively showing a very strong package among the very highly competitive drivers’ level. 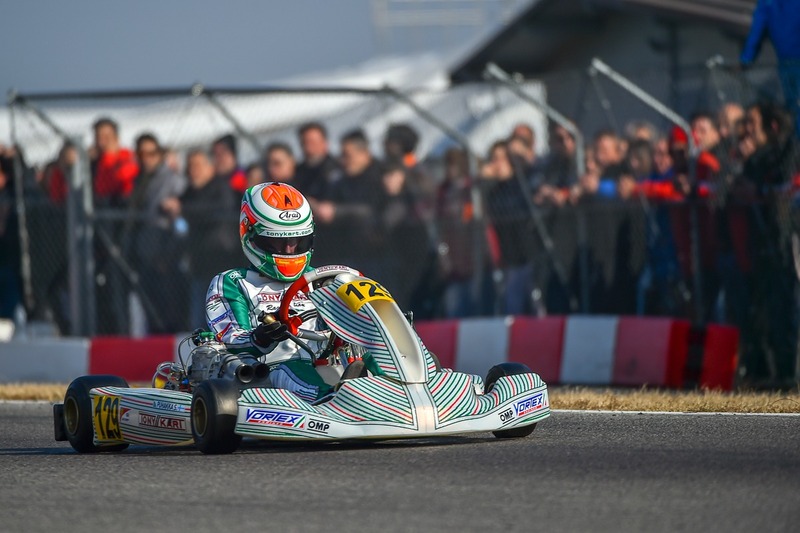 After a very good qualifying heats taking one victory in one of those, Ardigò was the best wearing our colors finishing fourth overall. 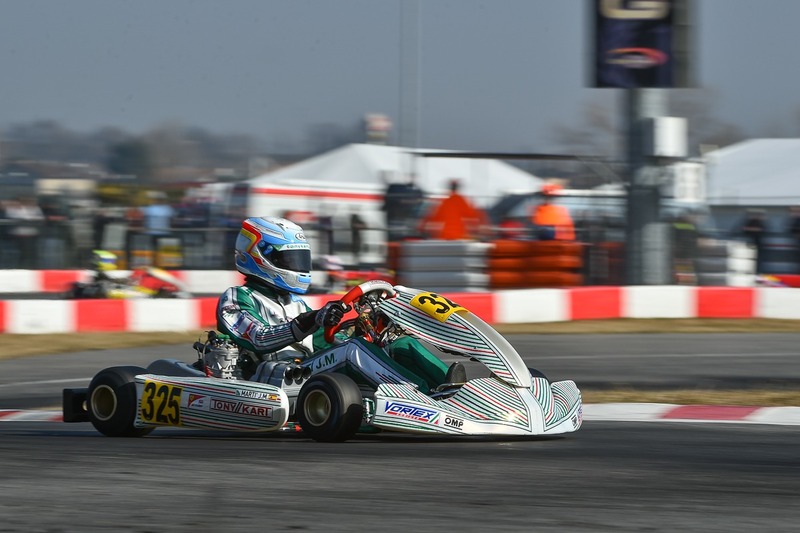 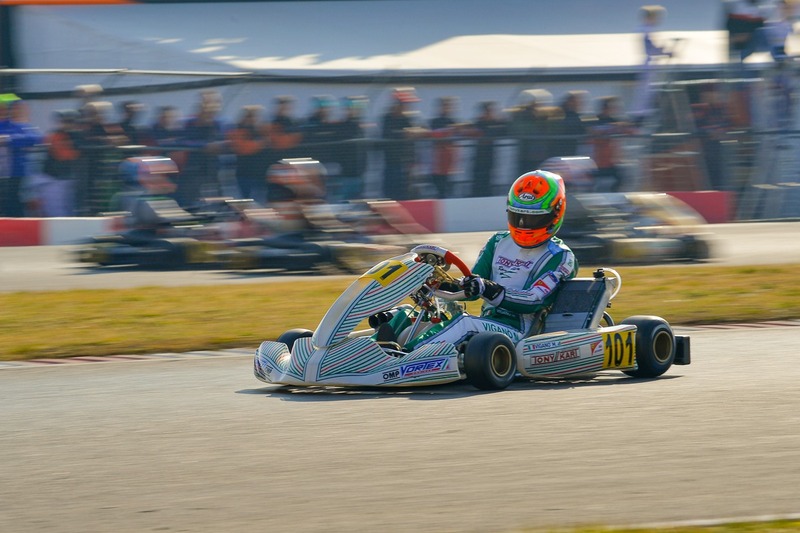 Piccini comeback to 13th while Viganò dropped to 16th and Puhakka was 27th due to a retirement in one of the heats. 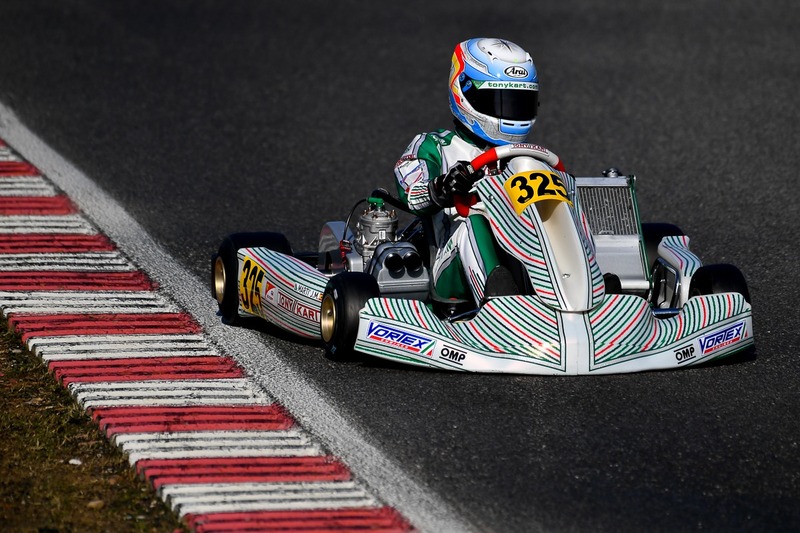 Positive super heats led to a third place in the grid for Ardigò in the final. 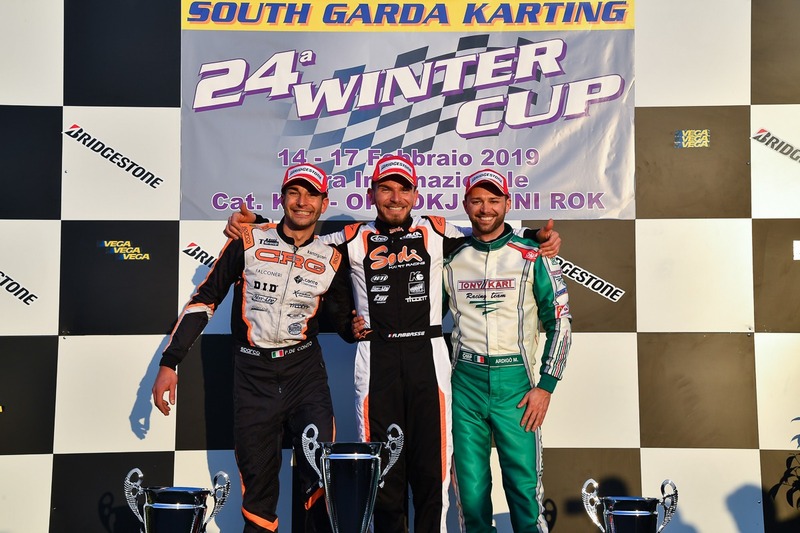 All teammates also comeback some positions after the Super heats with Piccini getting 12nd position for the final starting grid, Viganò 13rd and Puhakka 25th. 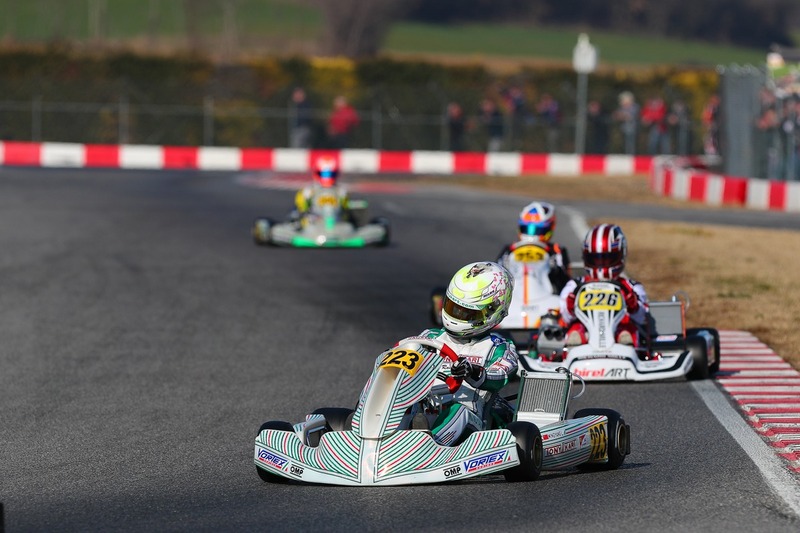 The final was so promising for Ardigò who took the lead at the start of the race. 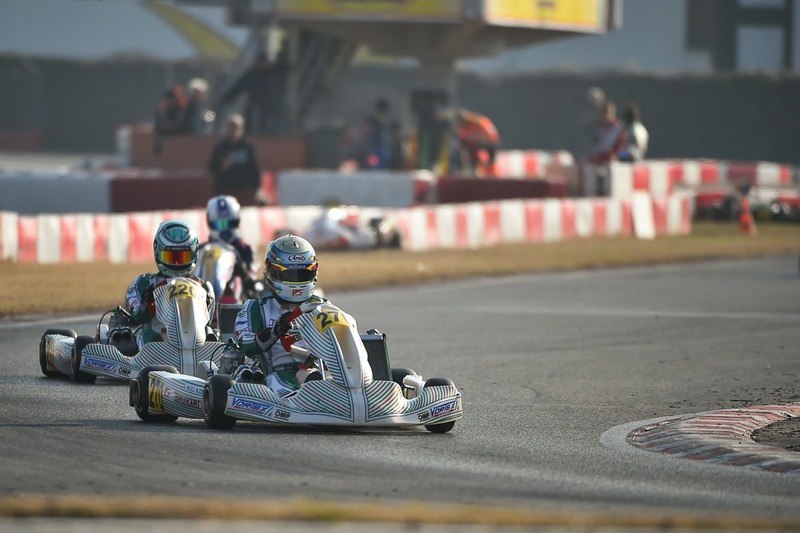 The 3 times world champion had an intense battle for the victory, which ended up with a podium finish. 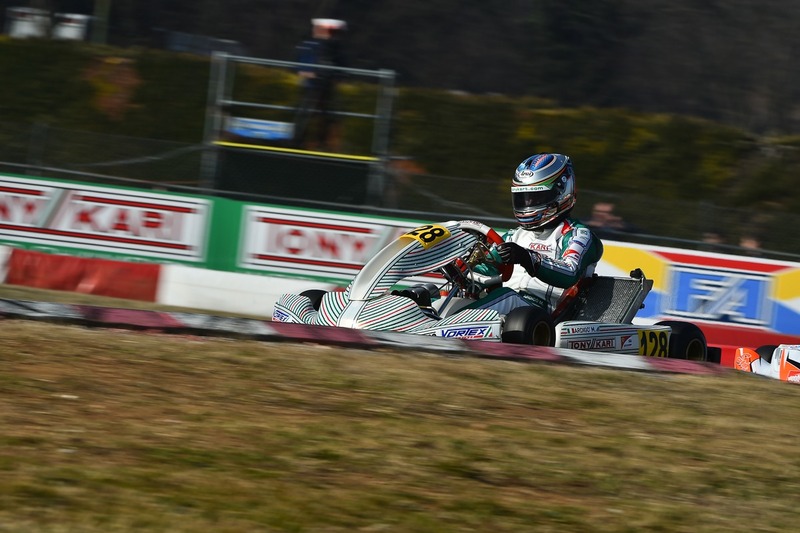 Not that much luck was Alessio Piccini who luckily was ok after a very bad crash at turn 3 during lap 13. 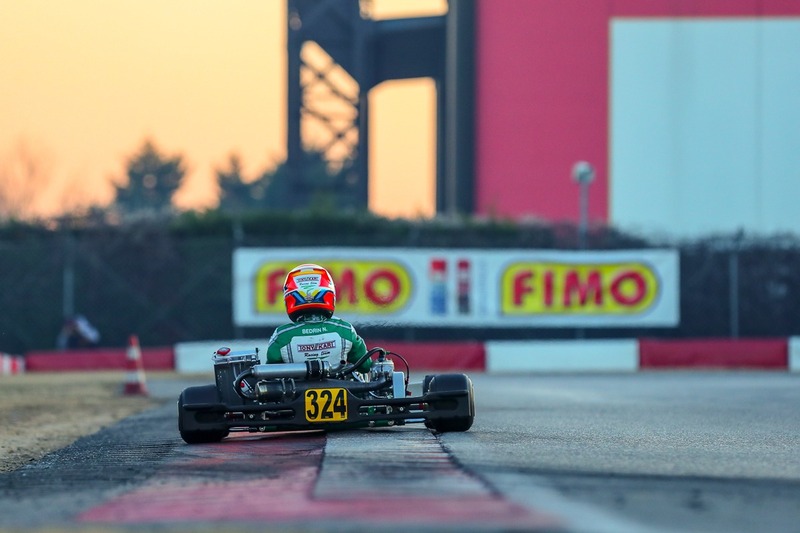 Meanwhile, Matteo Viganò and Simo Puhakka stepped up positions finishing ninth and tenth respectively. 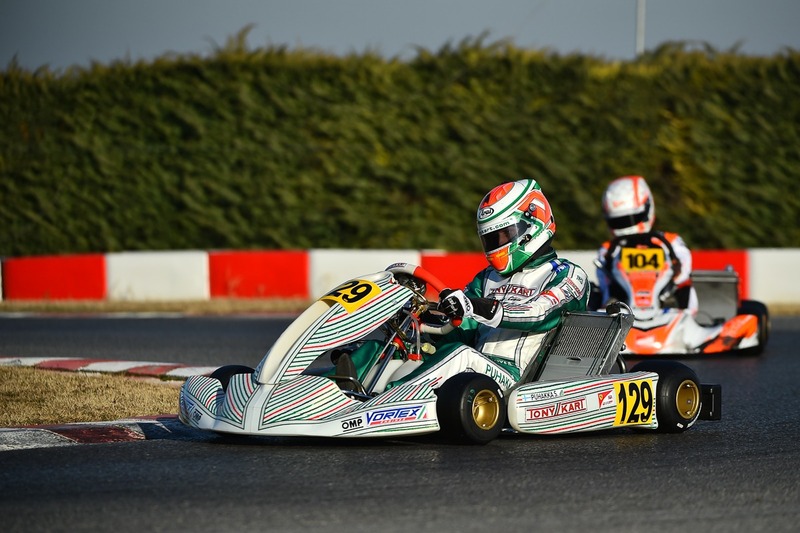 Puhakka completed a magnificent comeback of 15 places while Viganò gained 4 positions. 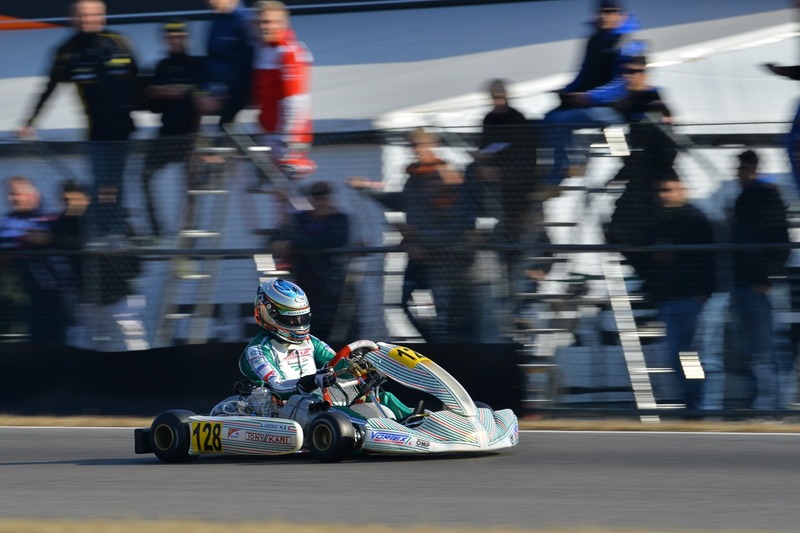 In OK class, Joseph Turney had a great weekend always fighting for the victory. 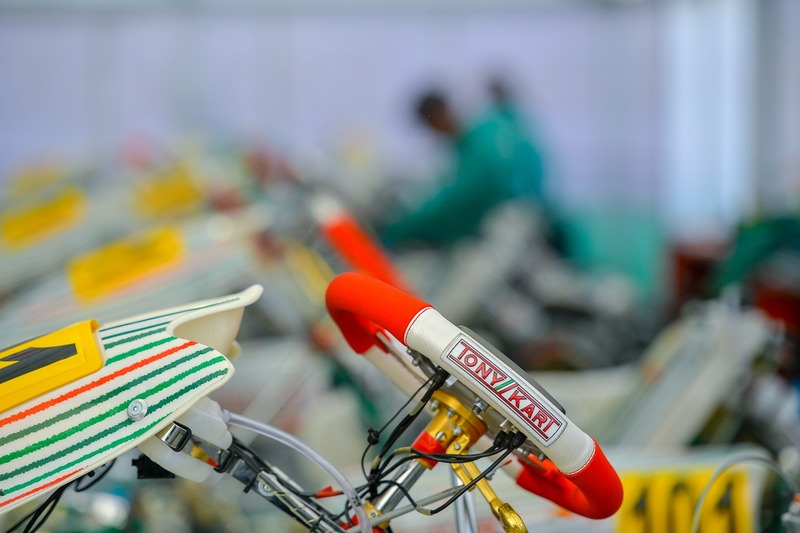 The British driver was third in his qualifying group, finishing as the best of our Racing Team with Noah Milell finishing 8th overall, Morgatto 12nd, Montoya 19th, Meguetounif 38th and Mingyang 63rd. 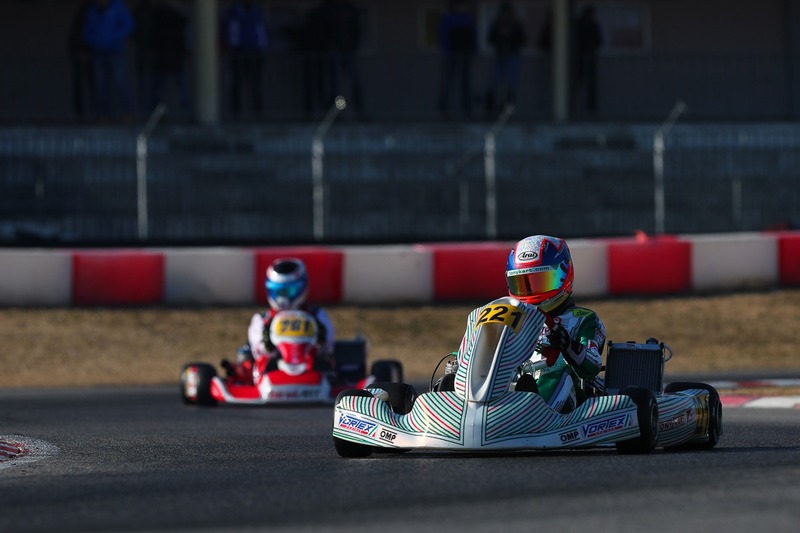 During qualifying heats, Turney showed a masterclass drive winning two of three heats and taking pole position for Super Heats. 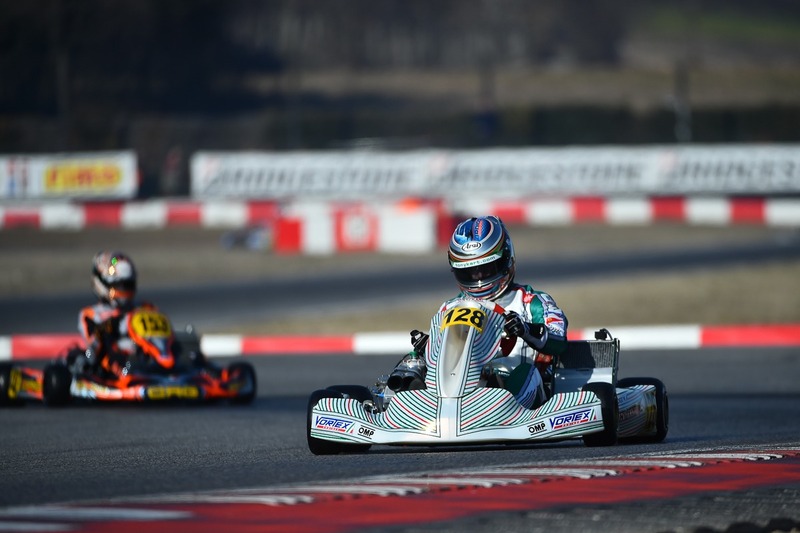 Milell also had a good pace finishing second in two heats, while Morgatto was 11th overall. 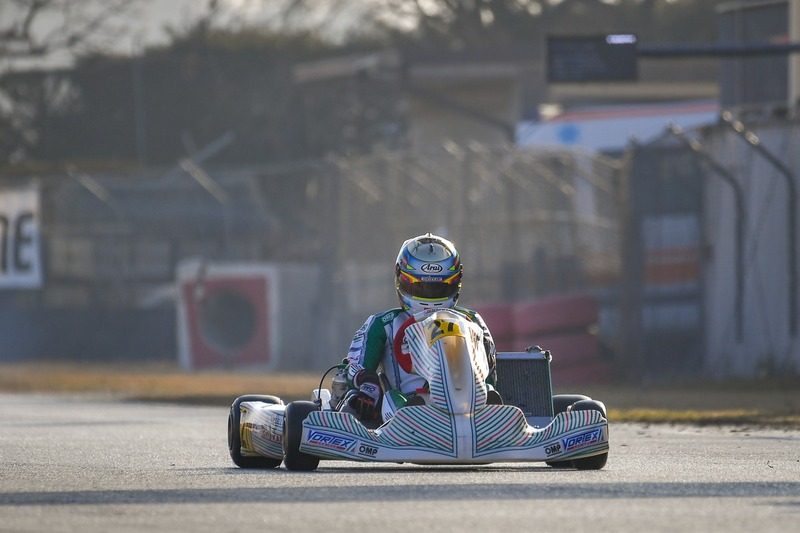 Meguetounif finished 18th, in front of Montoya 20th and Mingyang 68th. 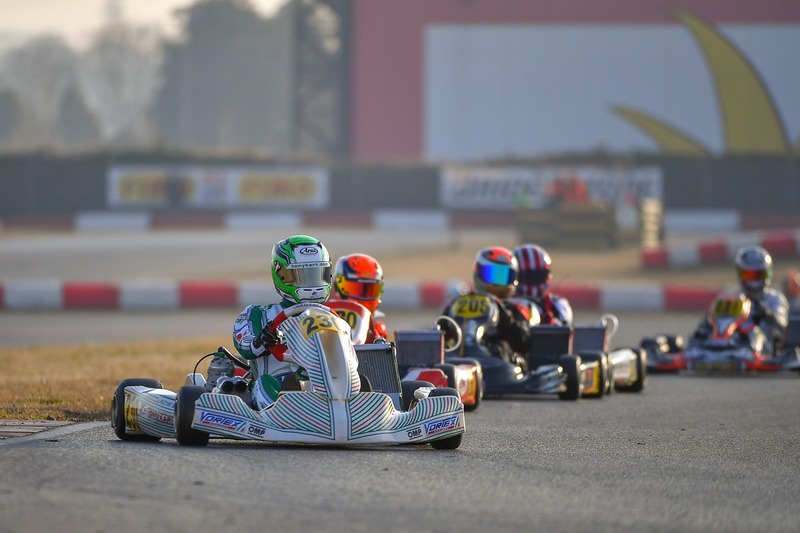 Once again in Super Heats, Turney had no rival and took a dominant win while Milell and Morgatto finished fourth and fifth, respectively in Super heat 1. 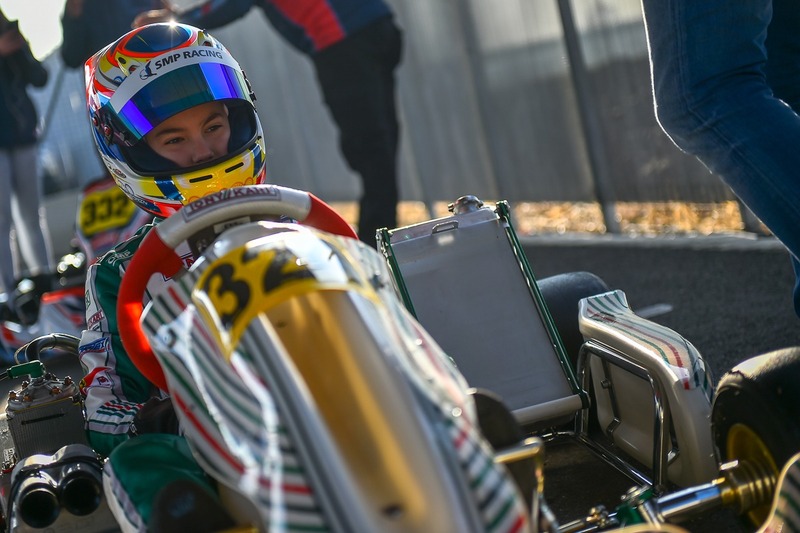 Meguetounif finished 9th in Super Heat 2 with Montoya 22nd and Mingyang last due to an early retirement. 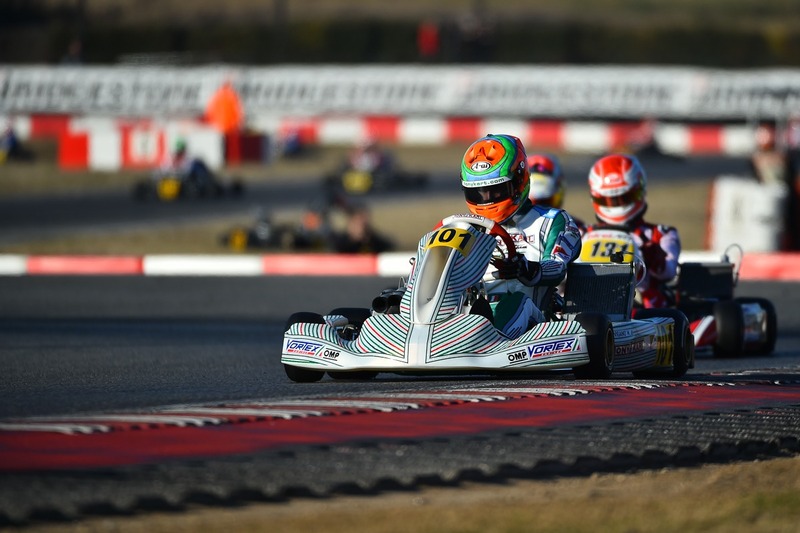 Into the Final, Turney was leading the way in the early laps. 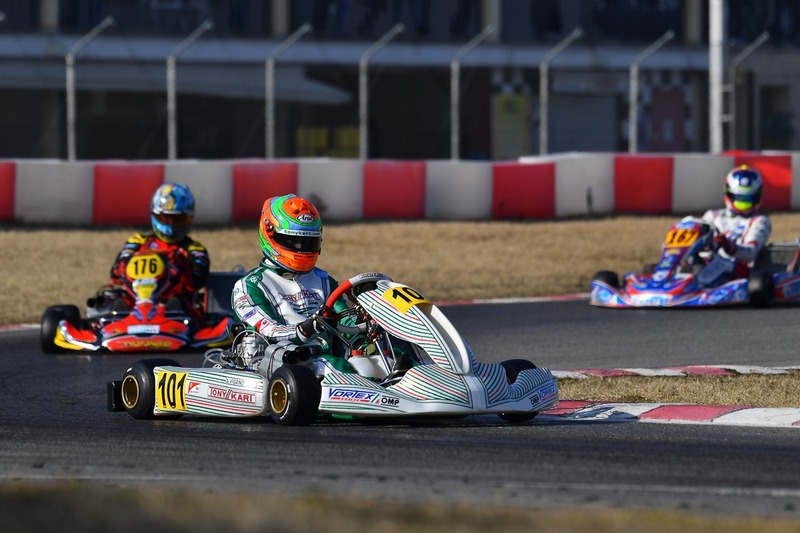 Our Racing Driver had a close battle with the leading group finishing in third place in the checker-flag. 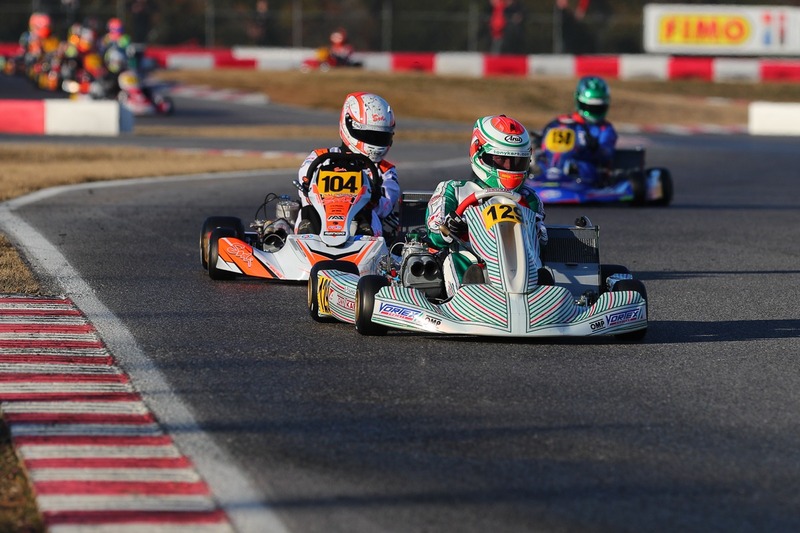 Milell finished eight while Meguetounif and Morgatto finished thirteen and fourteen respectively. 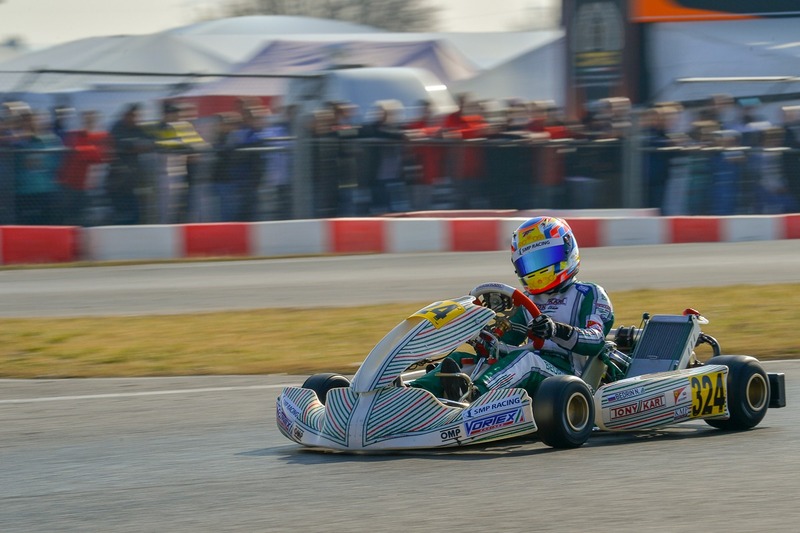 Montoya had to retire after a big crash. 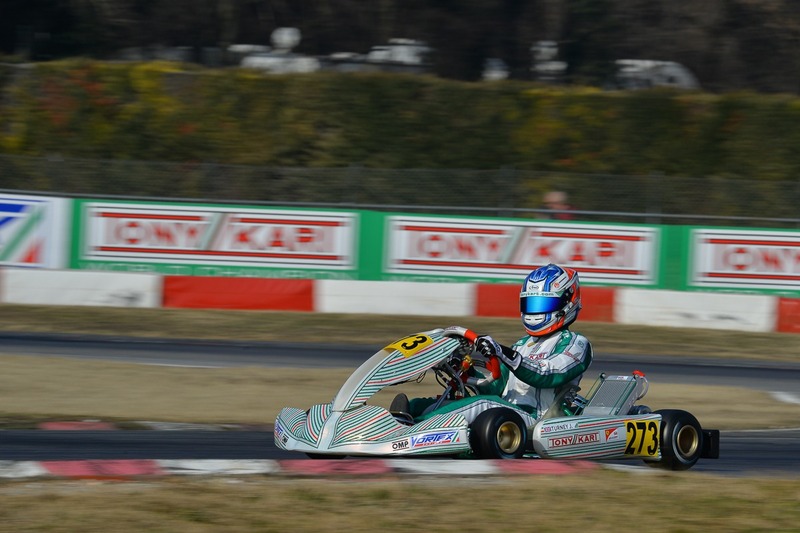 In OKJ Nikita Bedrin was the quickest in his qualifying group while Josep Martí finished 23rd overall. 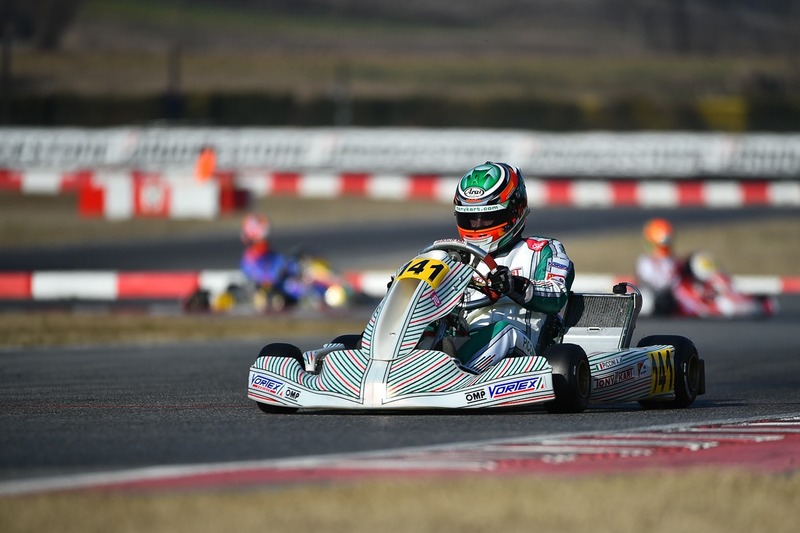 Bedrin was always fighting for top positions in the qualifying heats wining heat B-D and always finishing in top 4, as a result the Russian was third in penalty points. 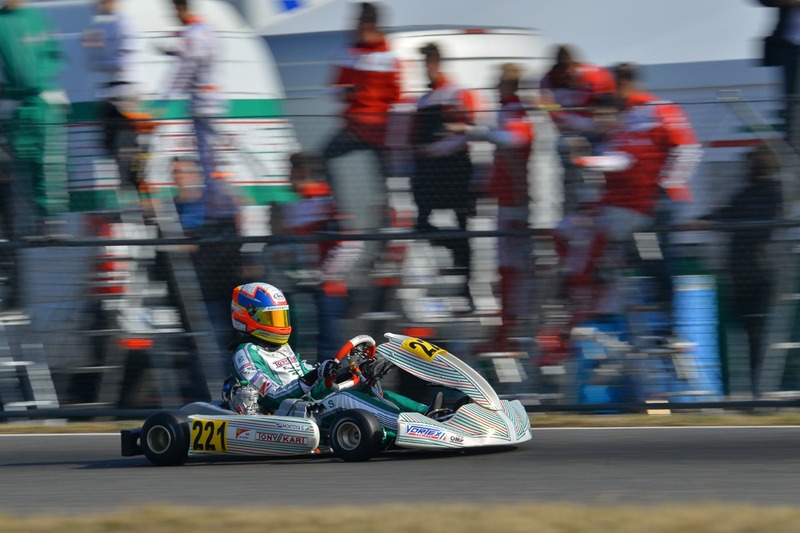 Martí finished fourteen after all qualifying heats, showing always constant pace on top6. 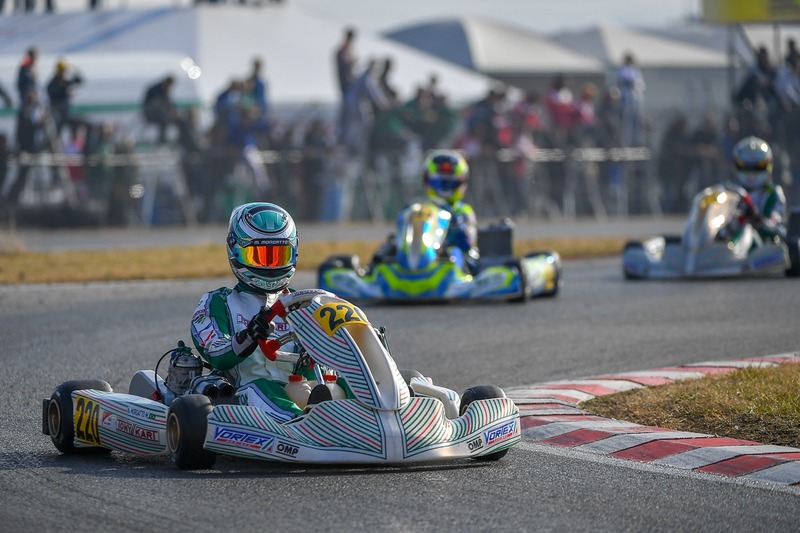 Into Superheats Bedrin fought for the victory in Super Heat 1 while Martí was involved in an accident, which affected so much his grid position for the final. 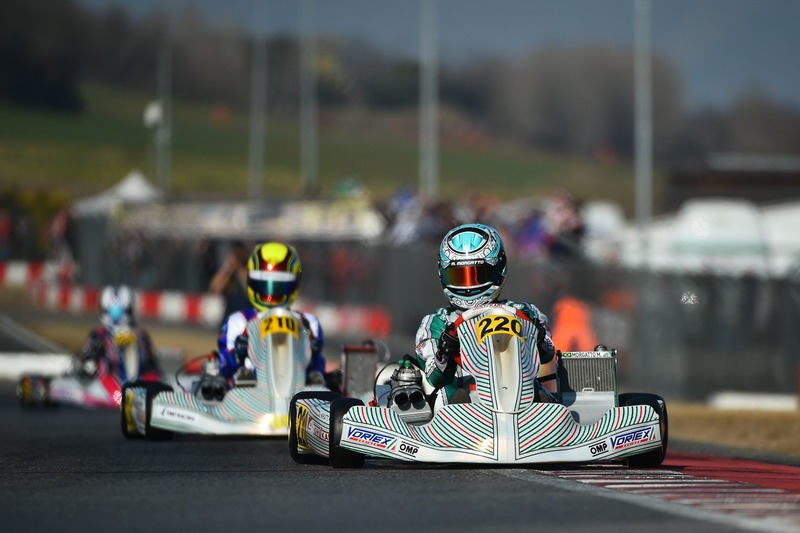 The Spanish driver started from twenty-third place and stepped up into the seventeen position, while Bedrin had to do the same after a difficult start in which had to comeback from 9th to 7th. 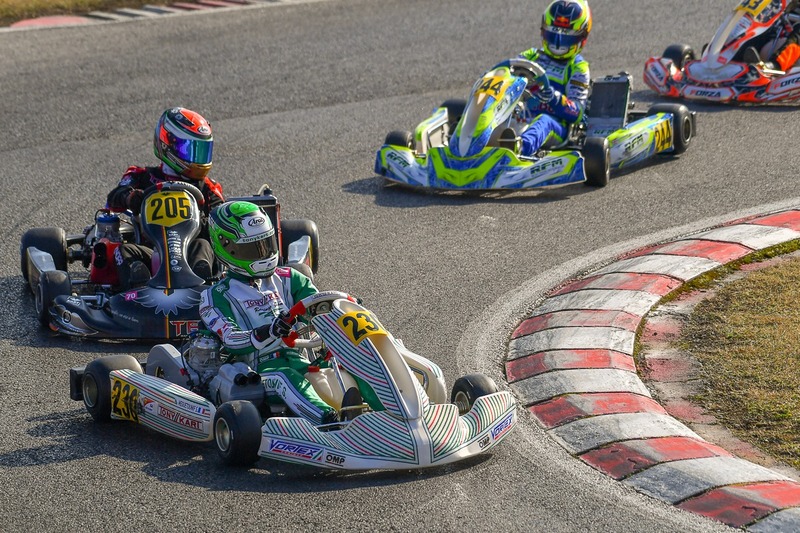 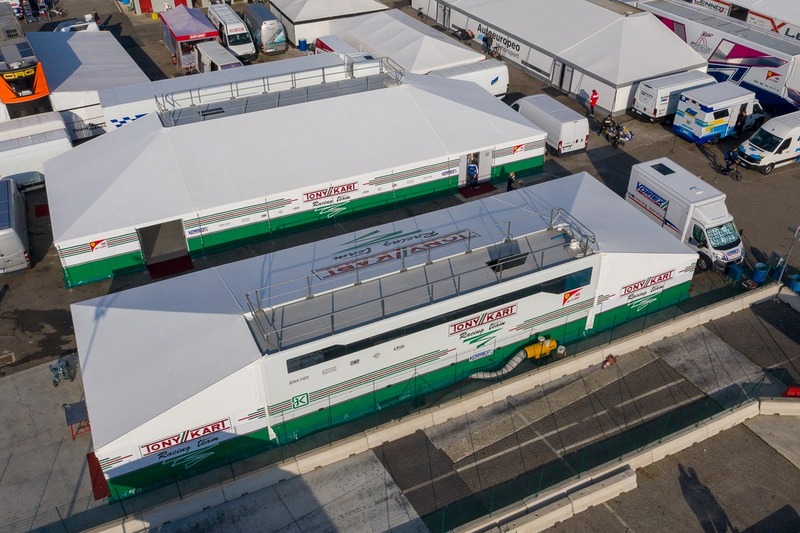 The drivers will not stop as they already will be fighting once again in Lonato for the 2nd round of WSK Super Master Series.